Amsterdam 1648. Full title: 'Lothian and Linlitquo'. 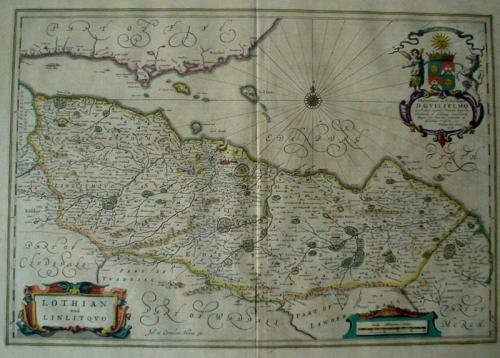 A very attractive Blaeu map, finely engraved, and centred on Edinburgh. The map is embellished with three decorative cartouches displaying the title, scale and dedication. Compass rose. Latin text on verso.